If you've ever steered a boat, you will know that there are certain things that turn a good day on the water into fantastic sailing. Details such as a cockpit table that also serves as a foot support - great for bracing yourself when the boat heels. The spacious cockpit area provides seating for all crew members and still allows plenty of freedom of movement for manoeuvres. In addition, the new twin wheel steering enables easy access to the bathing platform, whilst still providing all-round visibility for the skipper. Or that the layout of the fittings was designed for the most efficient use. Or that the profile rudder is semi-balanced. And these are but three of the many features that add to your fun and turn a good day into a fantastic one. Below deck the CRUISER 37 has plenty to shout about. Feeling as if you were in a hotel while you are under way, with all the modern conveniences. The spacious salon has a new storage concept for optimal organisation of life on board with multiple crew members. The new panorama windows allow plenty of light into the interior and the new coachroof windows help to create a sense of greater spaciousness. The high-quality furnishings come in three different colours with a range of upholstery options. 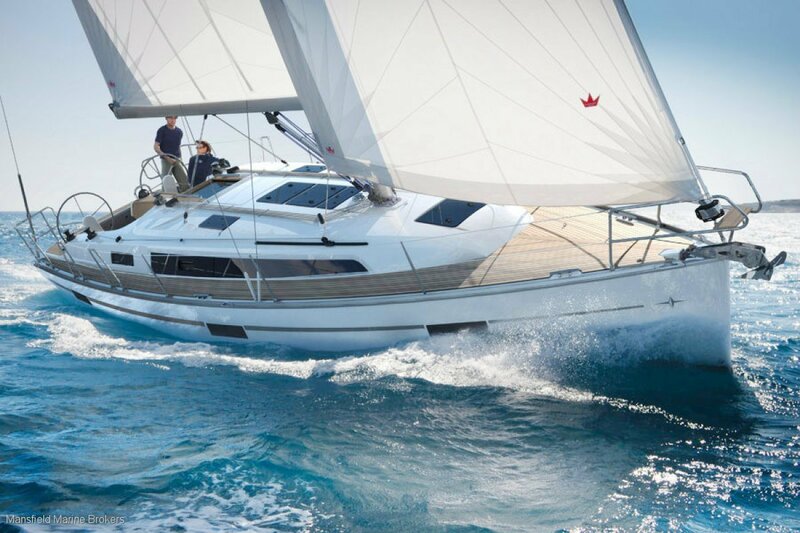 Thanks to its improved cabin design, the CRUISER 37 provides additional space in the forward cabin for a wider double bed and increased standing height in the aft cabin. The Cruiser 37 truly is unique in its class, we weren't kidding about the luxuries and space - you'll feel as if you are on a 40 foot yacht. Experience it yourself. Deck Gear:	2 winch handles, 2 x Lewmar Evo aluminium halyard winches, 2-gear, self-tailing (30), 2 x Lewmar Evo aluminium genoa winches, 2-gear, self-tailing (40).